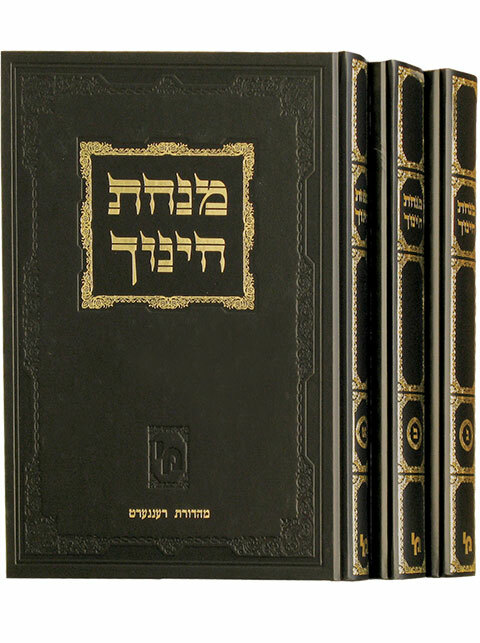 This monumental edition of a classic work is beautifully designed and presented with thousands of corrections, additions, notes and bibliographic sources, full spelling of all abbreviations, enlightening comments, an introduction, and indexes of sources and subjects. 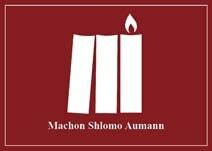 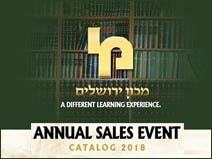 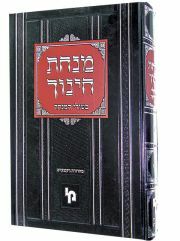 A unique version with the addition of the chiddushim and explanations of HaGaon HaRav Shach zt”l on the Minchas Chinuch. 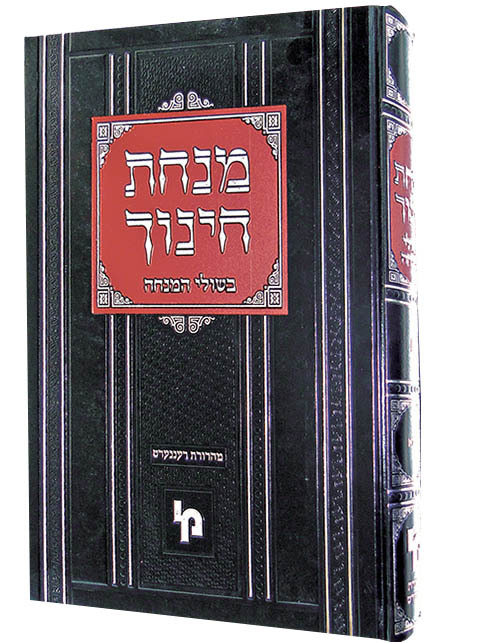 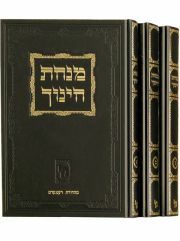 The Minchas Chinuch in a revised and corrected edition with an all encompassing treasury of chiddushim, comments and many explanations from the achronim.